The first thing that comes to mind when I think of my senior year is the word 'legacy.' I’m trying to continue the rich tradition that St. John’s has with their success on the court. I have to keep that legacy going, along with my teammates who are behind me. Personally, I am going to leave a legacy by pushing myself to be the best leader that I can be. I need to be a great role model for my teammates, being that guy that they look to whenever they need anything and just being a winner in every way possible. It’s a true blessing to be a part of something like the St. John’s program. It’s not even just from an athletic standpoint. The relationships you make and people you meet are great. You are surrounded with people who want nothing but the best for you and really push you. When looking at it for basketball, you are playing under the best of the best with the coaches we have, we have great training and you get to play with great players. You get the best of both worlds here and it’s an honor to be a part of it. The WCAC conference is the best league in the nation. When playing in the WCAC, it all comes down to your competitive nature because the league is so talented. You learn so much from everyone you play against, which says a lot about the league. Each team is so talented and any team can be beaten. A few years ago, I remember when Gonzaga lost to Bishop Ireton in the first round of the playoffs. Something like that can happen to anyone and that’s just the way the WCAC is. No matter who you have or how many four or five star recruits you have, you can still be beaten. It’s the perfect way to prepare for playing high level college basketball. Winning two WCAC Championships hasn’t been done by any player in school history. To be known as a winner in that way would be great. It’s great going into my senior year knowing where you are going to college. Academically and athletically, it’s great to know where you are going. There is a lot of pressure off you because you don’t have to play to impress colleges. I get to play my game and do what I do best. At the same time I have to still prove why I’m going to a school like Virginia, but it’s just a blessing to be where I’m at right now. 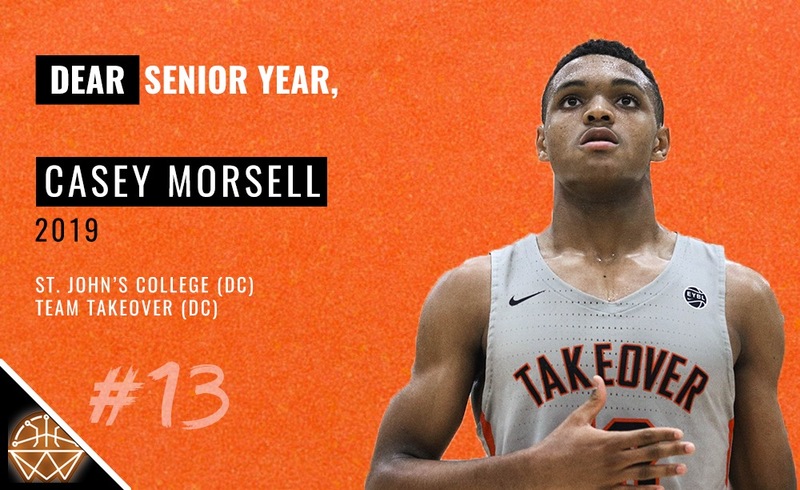 It’s amazing to say that I’m a Virginia commit and I can’t wait to go there and be a part of the great academic and athletic culture they have there. You have the best of both worlds going to a place like the University of Virginia. You get to play at a high level every night when playing in the ACC. I can’t wait to get there and have Coach Bennett and the staff improve my game. I really feel like in my time at Virginia we will bring home a national championship to Charlottesville. We won the WCAC Championship my freshman year, and to win that again would mean a lot. Winning two WCAC Championships hasn’t been done by any player in school history. To be known as a winner in that way would be great. I’ll be focusing on everything I need to do in order to accomplish that. One of the main things I will do is put the team before myself, because that’s what it takes to be a winner. Every year my goal has been to get better and better, and most importantly, to not take any steps back. Eventually I got better because of my work ethic and that showed on the court as my high school career has gone on. When I came out of middle school, there weren’t many people who were talking about me. Looking back, it’s just a blessing that I’m in the position that I’m at. Once you work as hard as I did, it will all come together.